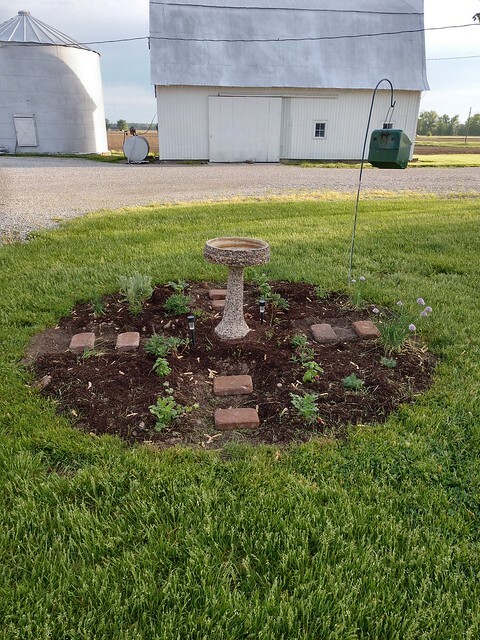 Sarah in Illinois has shared periodic updates about her vegetable garden over the summer. Now it’s time for her final report, also known as the medal ceremony. For the third year in a row I would like to sum up how well our garden produced. Unfortunately overall our garden did poorly. While I was complaining about this to Steve he said that some years are just like that, you can do everything correctly but weather doesn’t always cooperate. As I have in years past 2016 and 2017, I’ll rank my results in the style of the Olympics. 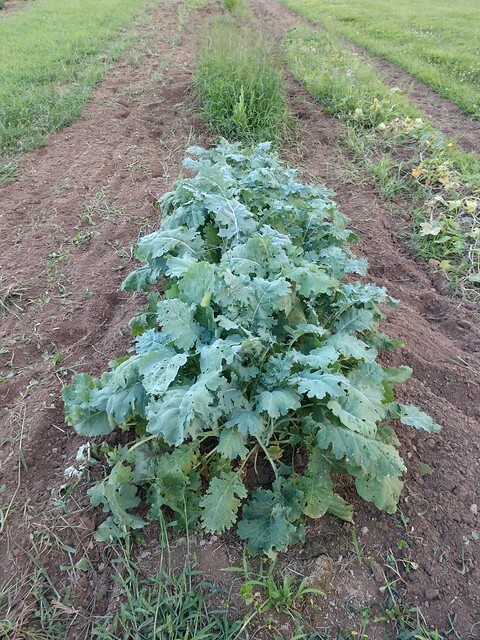 Kale – Our Kale did wonderfully this year. My step-daughter and I love kale chips and we made a few batches and could have made plenty more. Broccoli – Steve was in question whether 8 broccoli plants were too many. The answer was no. 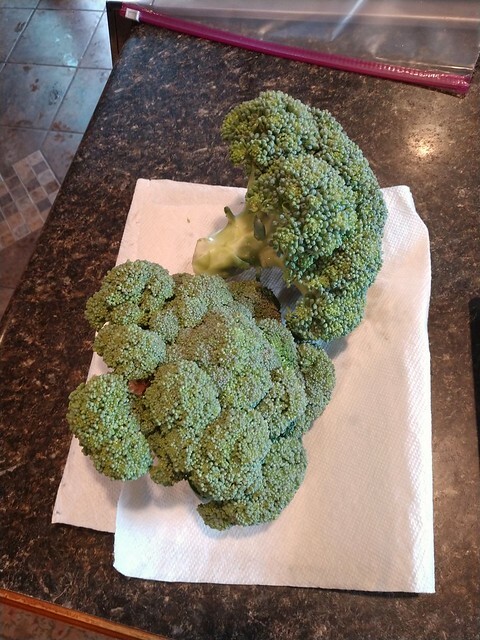 We had so much fresh broccoli and as much as we eat, we could have used a few more plants. Side note: our favorite way to eat it is coated in olive oil and seasoning and grilled. 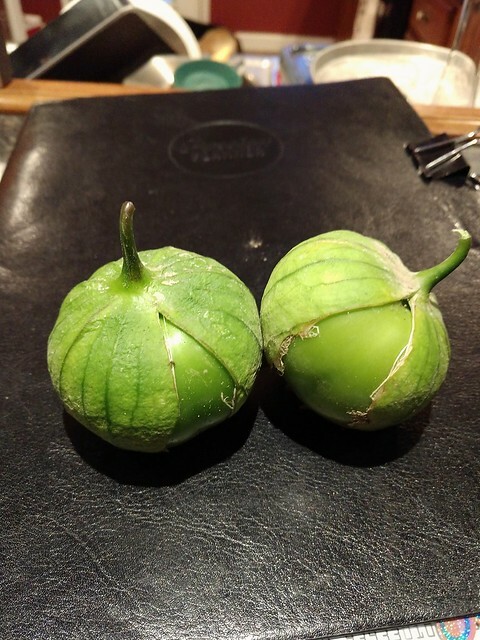 Tomatillos – After two years of nothing, I finally got a very productive tomatillo plant. 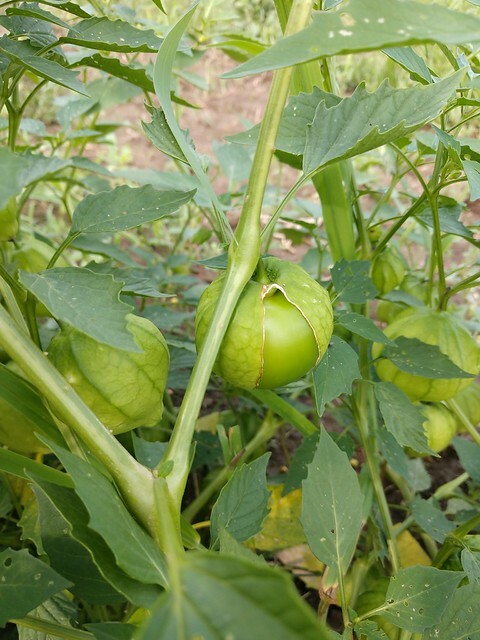 I did learn to make salsa verde and have decided that tomatillos will now be a staple in our garden. 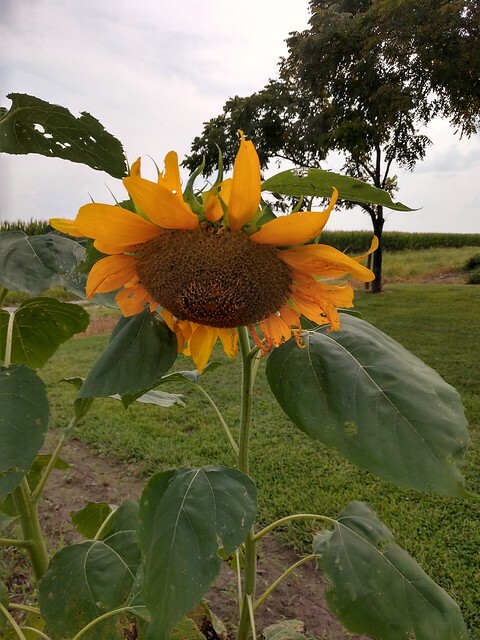 Sunflowers – I didn’t plant any this year for some reason but it worked out because we had several volunteers! 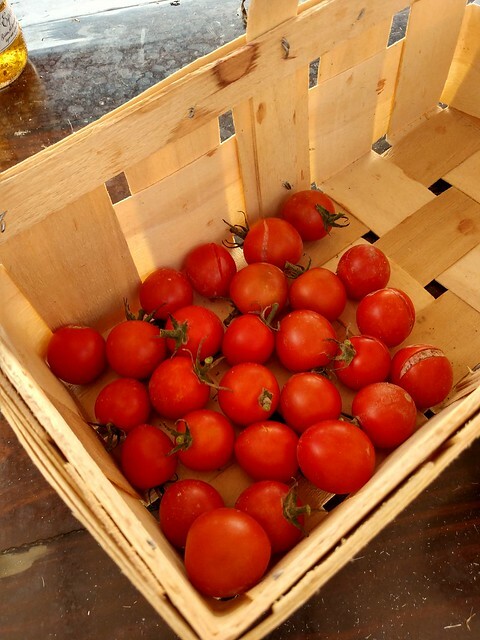 Tomatoes – Our tomatoes acted so strangely this year. They flowered and came on quickly, then they stayed green for much much longer than normal. 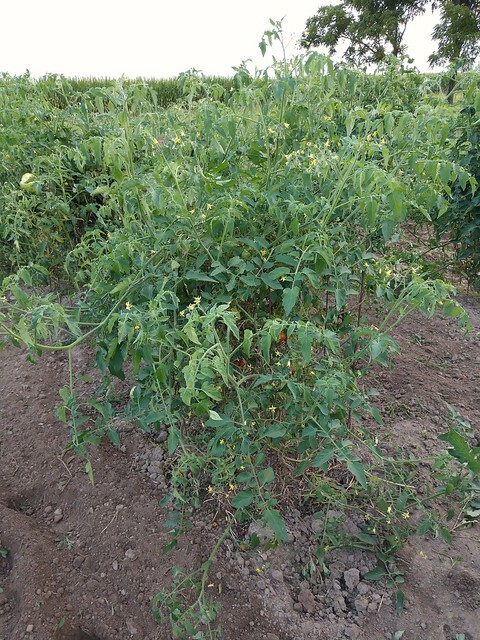 Then they flowered again and produced red tomatoes. Not our best year for them, but we still had plenty fresh from the garden. 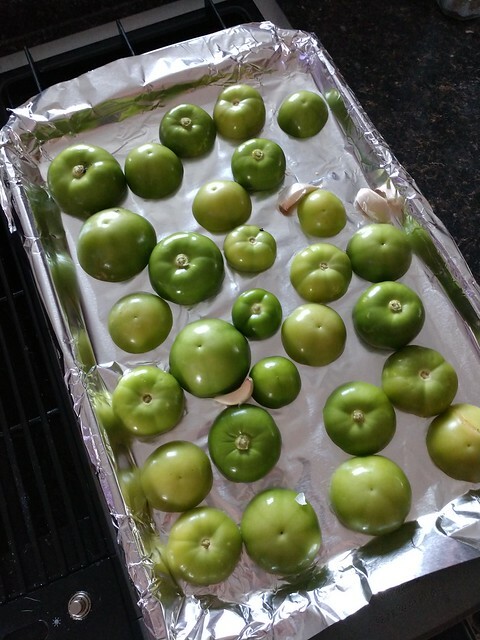 Green Peppers – After planting about 12 plants, I figured we would have more peppers than we could use. But honestly, we really didn’t have that many. 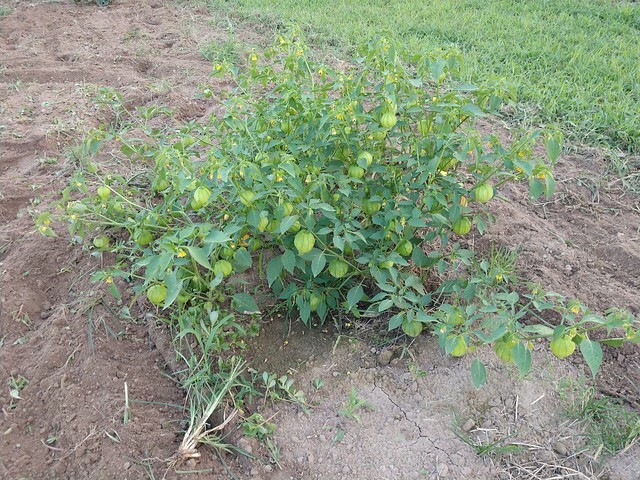 Then when I finally found peppers on the plants they were really soft and past being ripe. 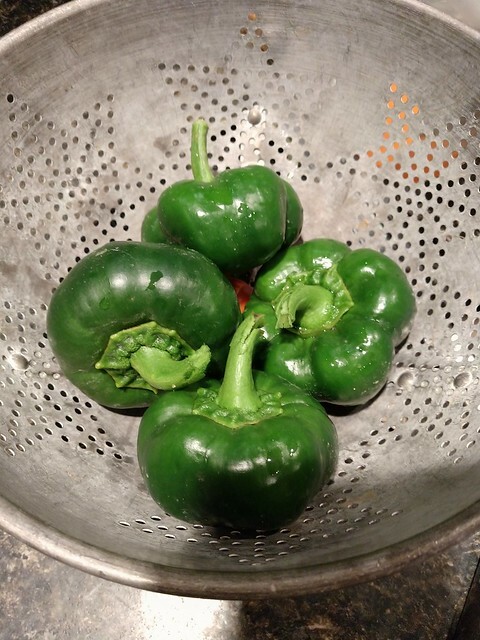 Jalapenos – I was able to gather just a couple jalapenos this year. Much different than the overabundance last year. Cucumbers – Somehow I only planted pickling cucumbers this year, even after specifically buying different varieties. This is the first year we did not grow our vines up a fence. I would like to bring that back next year. 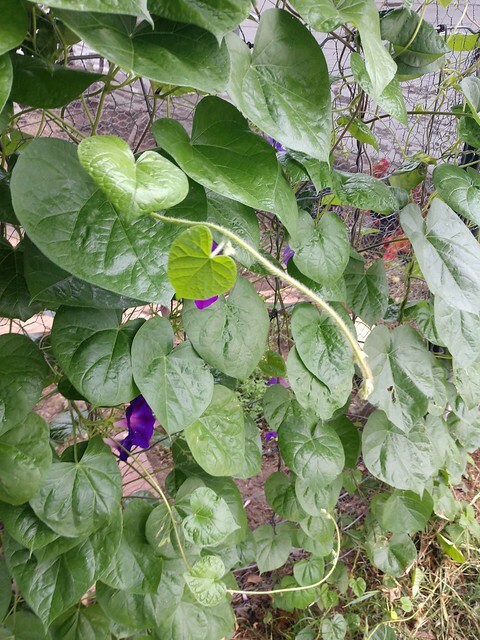 Sugar Snap Peas – I think I picked less than a dozen pods. But stay tuned for a fall planting post from me in the future. 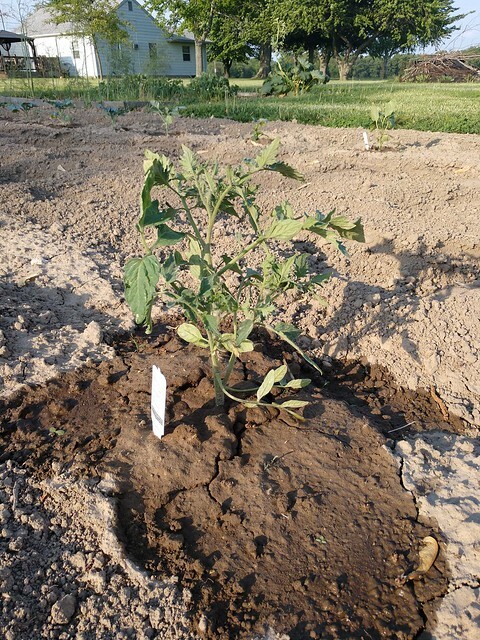 Potatoes – We were able to dig up two messes of potatoes. One was used for fried potatoes and one was used to potato salad for a family get-together. 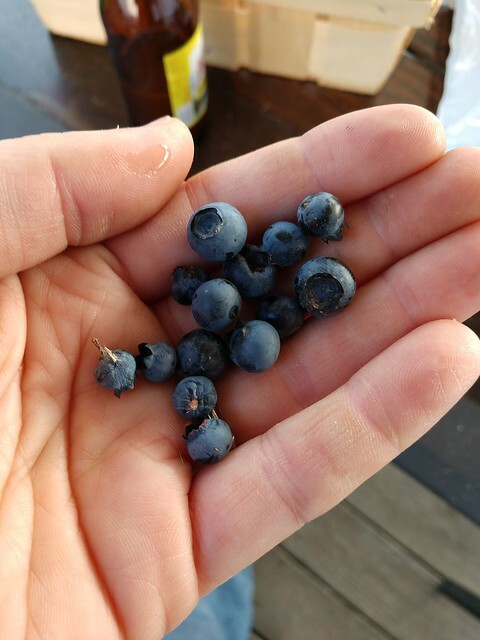 Blueberries – This is literally all that I picked, but the bushes are new and I have high hopes for next year. 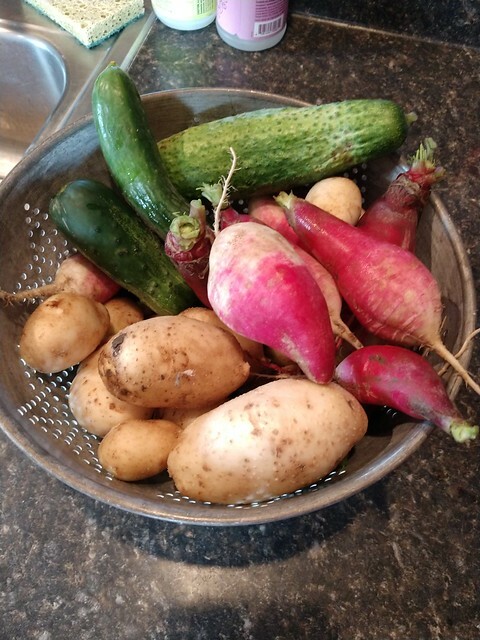 Radishes – I picked a few, but only a few. 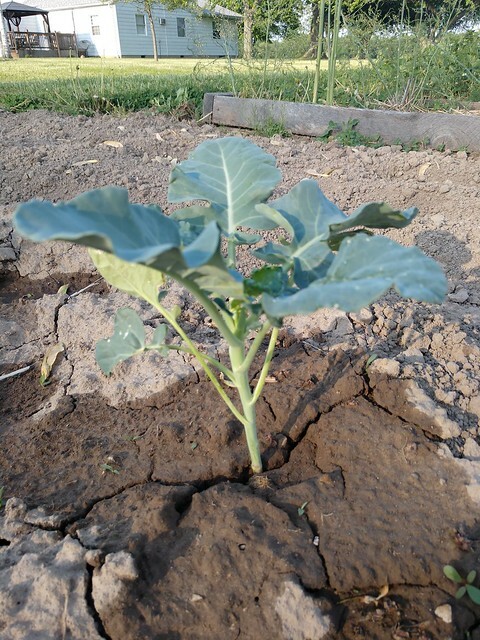 Brussel Sprouts – I think the area of the garden that these were planted stayed too wet all year. The plants looked okay but they did not produce any heads at all. Carrots – Nothing. Not even a sprout. 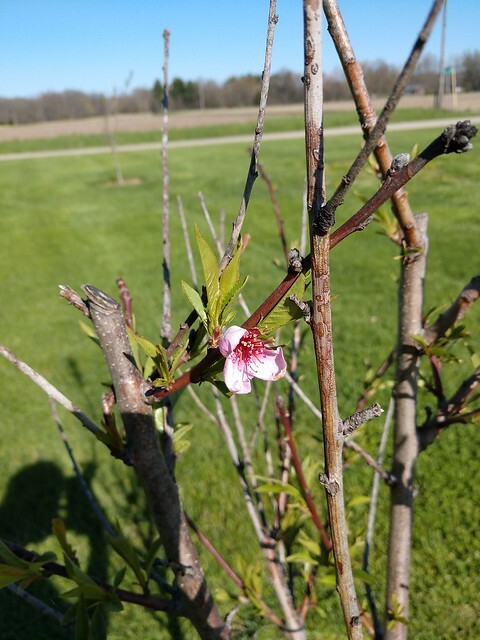 Cherry trees – Ugh! 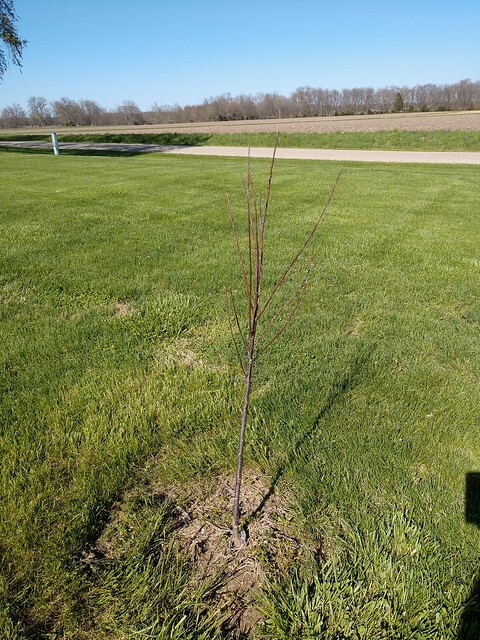 Deer enjoyed my cherry trees. So much so that both trees died. That should be a post on it’s own. 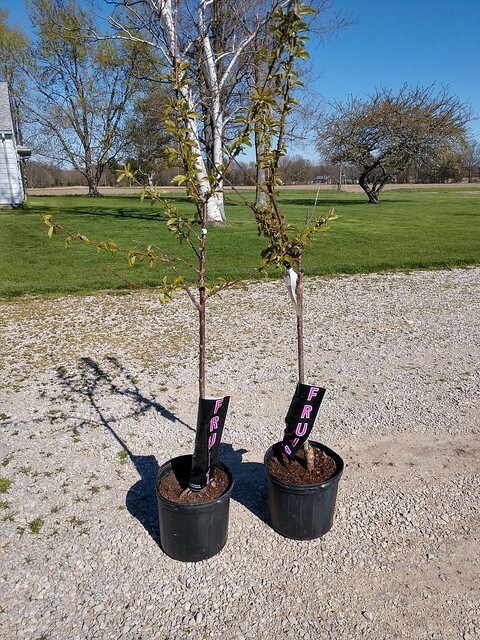 I will have to formulate a new plan and buy new trees in the spring. 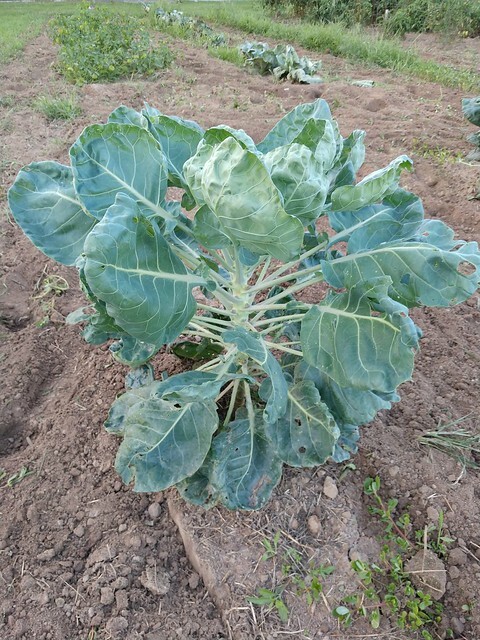 Cauliflower – The plants looked nice and green but did not produce a single head. 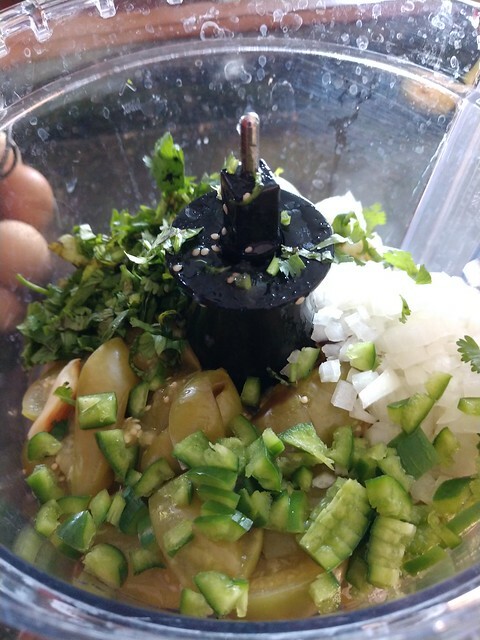 Zucchini – Nothing came up at all. Expecting to have all gold medals winners is unreasonable but I really would like to not have anything in the DNF category. I’m making notes and hope that next year is even more successful. How did your garden do this year? Anyone else feel like this year was worse than normal? I feel like our entire garden was DNF this year, Sarah (#blamethebaby). So I take solace from your results! (And you have my sympathies.) I’m hoping we might yet find some potatoes in amongst the weeds. 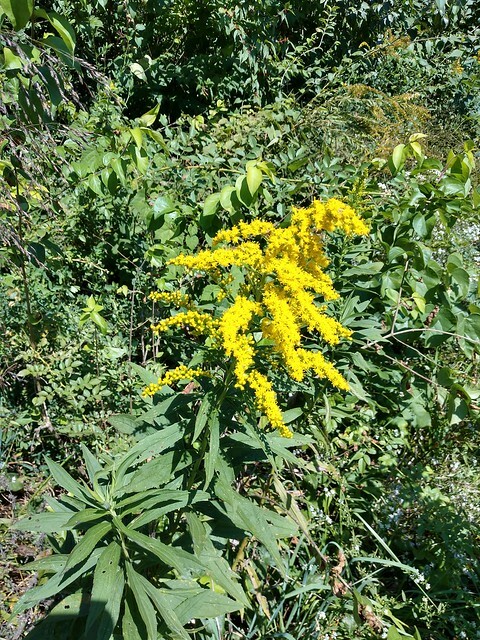 Sarah in Illinois has a good reminder today to stop and smell the flowers. As I drive to and from work every day, my mind tends to wander. Most of the time I am thinking about what chores I need to do, how my day at work went or what I have scheduled next in my planner. However, lately I am trying to slow down a bit and enjoy my commute. Compared to most people, I am guessing my commute is relatively short. My work is 12 miles from my house but only 4 miles is highway. So 8 miles is rural back roads where there is plenty of beautiful scenery to look at. 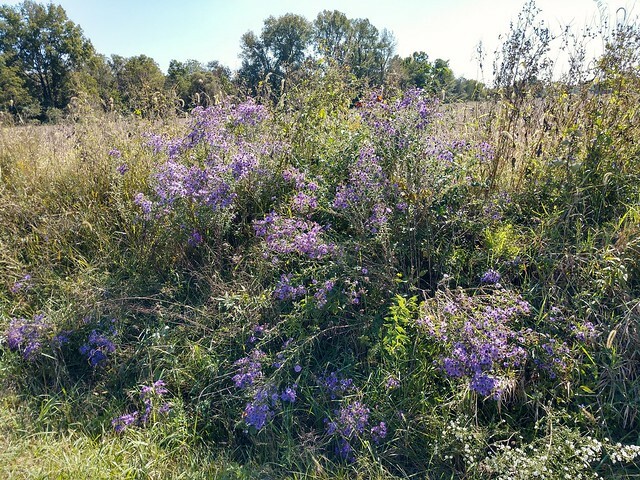 I decided that one day I was going to stop and gather some for a bouquet for the house. But when I stopped I couldn’t believe how many butterflies and bees were all over it. I just couldn’t bring myself to take some of their food. I decided they needed it more than I did and I would just enjoy it from afar. 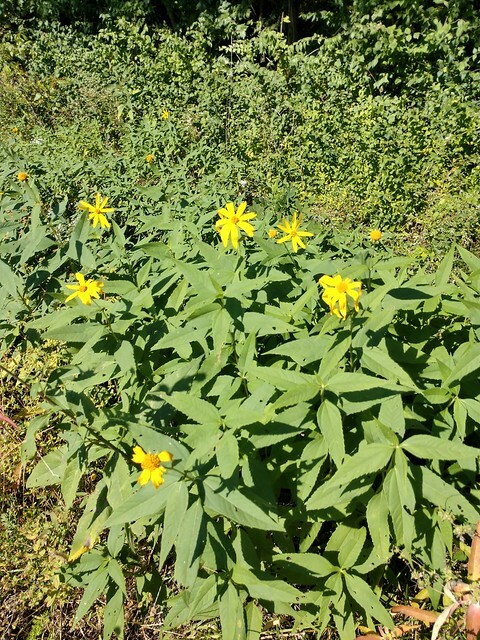 Then I really started paying attention to other wildflowers along my drive. 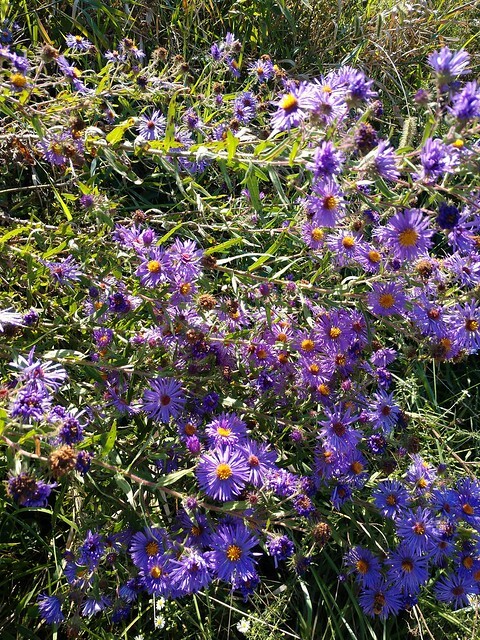 I was so pleasantly surprised to see the roadsides are full of color. So here is a mini challenge for you this week: On your drive to work or school or wherever you may be headed, look around (safely, of course paying attention to the road is the most important thing) and tell us what you see that maybe you haven’t before. It may not be wildflowers but I bet there is something beautiful to report back here to us. Sidenote: I did my best to identify these plants, but if anyone believes I have incorrectly labeled one feel free to correct me! Thanks for the challenge, Sarah. We’ve been seeing herons, which is very special for us. They represent my Dad for me, and make us feel peace, hope and love. I think heron season is likely over now for the winter, but they’ve been so helpful to us through the last few months. 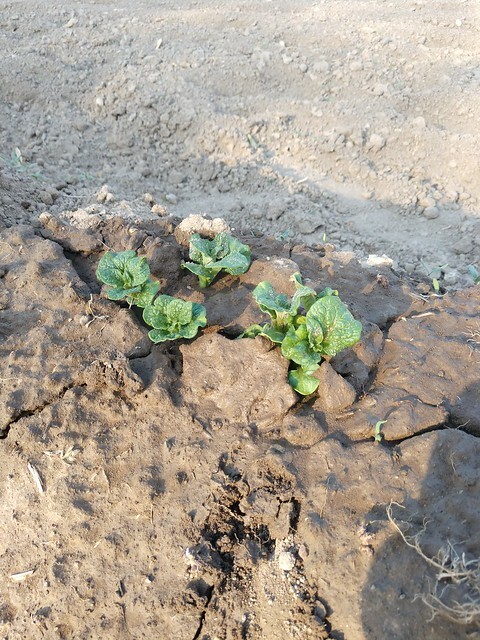 Circumstances have not been on the side of our vegetable garden this year. I knew with a new baby the garden would be a challenge this year. But I really thought we’d be able to do something. 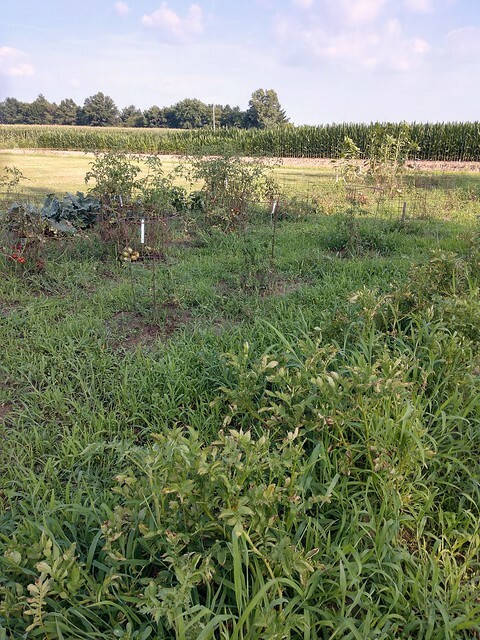 I had plans to at least maintain the perimeter beds and protect my asparagus, grapes and blueberries from being choked by weeds. Matt actually did rototill and then planted potatoes. Oh the poor garden. The weeds are definitely winning this year. But hope springs eternal. Next year, the baby will be able to sit on her own, and she can have her own shovel. She might enjoy digging more than her current supervisory role. Our most successful “gardening” this year is happening at the composter behind the house. 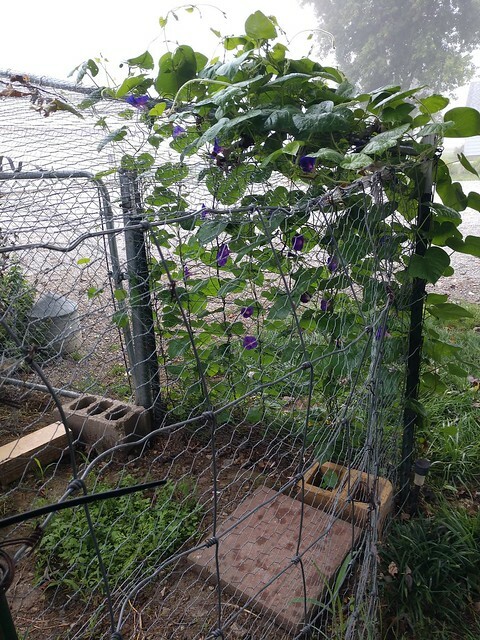 Last week Sarah in Illinois was talking about her volunteer Morning Glories. 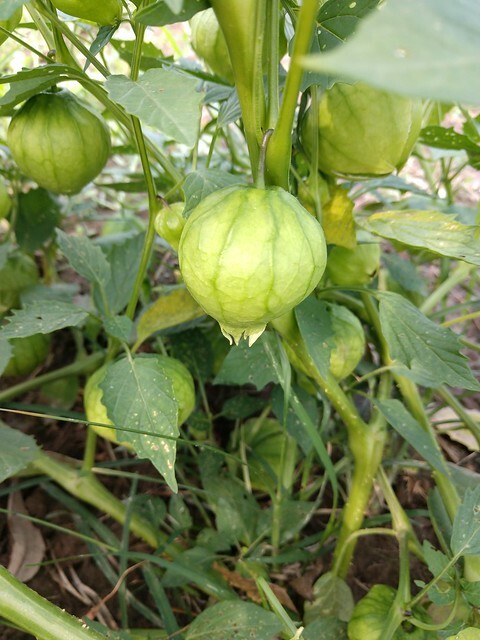 We too have a volunteer vine–and like all of our experiences with squash, this one has designs to take over the world. It’s conquered our back steps and is now advancing on the little deck. Remember when I cleaned up this area last year? I’ve read that squash, when it reseeds, grows back as something else. I don’t mean it becomes broccoli. But I’ve heard that a butternut seed does not get you a butternut plant. So I don’t know what is actually growing here. Honestly, it looks like we may have two different plants. 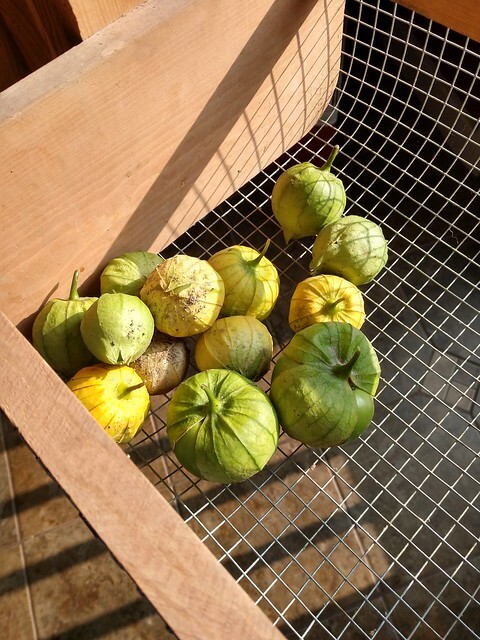 And they look more like gourdes right now than squash. I think the fruit is a minor factor. This plant (or one of these plants) is not going to be distracted from its quest. It has sent out a force away from the house (thank goodness) aiming for the pond. To comfort you, want one more glimpse of our cool dudette? Of course you do. Because babies in sunglasses are hilarious. I’m going to be taking next week off for a little vacation with the dudette and her Dad. See you in September. 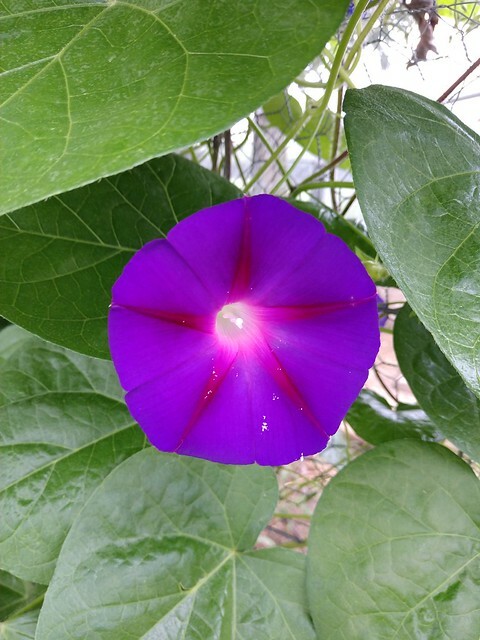 As a teenager, I once planted a Morning Glory at the base of a light pole by the walkway at my parents’ house. I carefully trained it up the pole and enjoyed the heart shaped leaves and trumpet blossoms all summer. 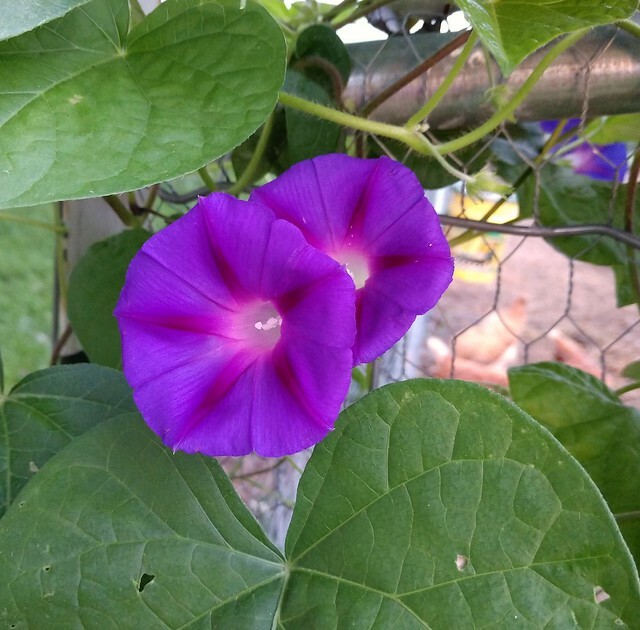 There’s something about Morning Glories that make them especially special, in my opinion. I like everything about them. So does Sarah in Illinois. 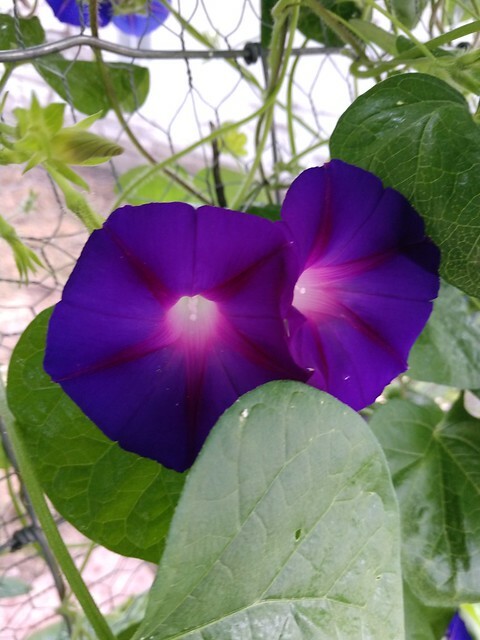 She’s sharing a surprise Morning Glory that she’s been enjoying this year. Every year in the spring when seed displays start popping up in every store, I always buy several packets. I buy all brands and all price ranges. When I see the displays that advertise 4 for $1 or even 10 for $1 I stock up knowing that the germination rate of these bargain packets is not very high. Last year I remember buying a packet of Morning Glory seeds. 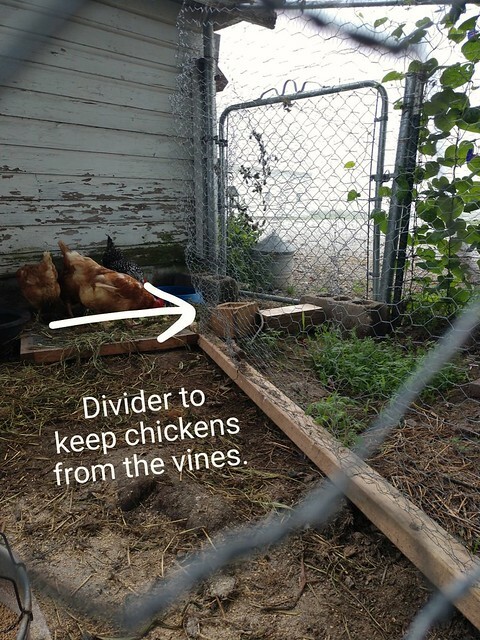 I planted them along the outside of the chicken’s run. I had two small vines that climbed up the outside of the run and I was able to enjoy the beautiful blooms every morning. This spring I recognized the leaf shape sprouting out of the same spot. I was so excited that they had reseeded themselves over the winter. I started training the vines every morning to climb up the outside of the run. Then of course the chickens became curious of this green treat that was within their reach so I had to create a barrier between them. Every morning I have 10-20 new blooms on this beautiful vine. 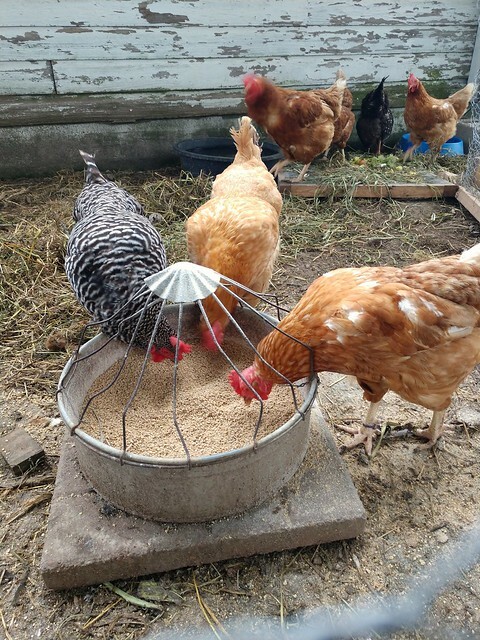 And the chickens can enjoy a little shade! 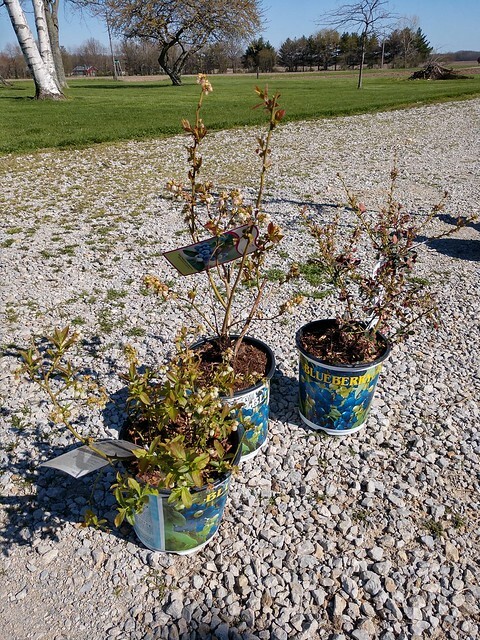 Did you have any surprise plants pop up this year? Do you have any favorite climbing vines? 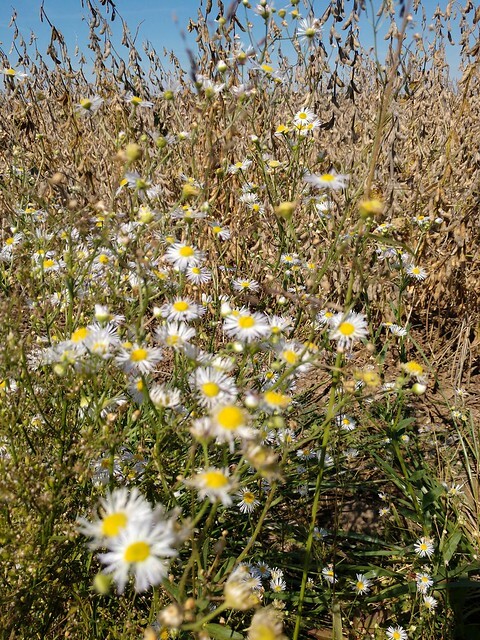 Can you pass the seed displays without buying when they show up in the spring? What a treat, Sarah. I love it when plants pop up unexpectedly. Although this year we have a surprise plant that’s turned into a major vine and has become quite an obstacle. I’m not sure even chickens could keep it under control. I think I may have to talk about it next week! Happy July 4th to all of my American readers. 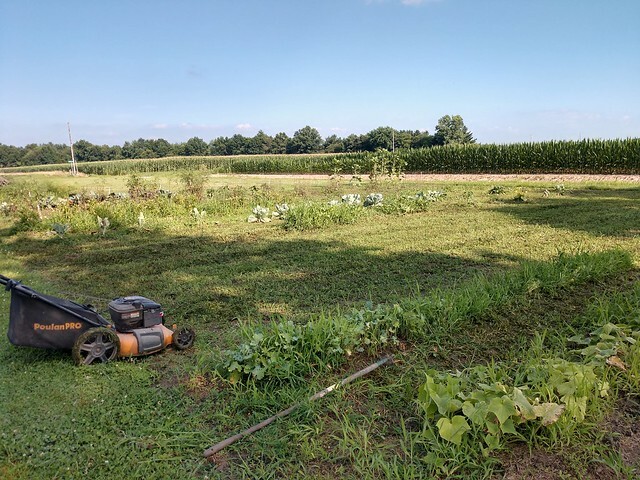 Our resident American, Sarah, is taking a break from her Independence Day festivities to share a glimpse of how gardening is going so far this summer in Illinois. Happy 4th of July to all the American readers! As you are reading this we should be celebrating Independence Day with a fish fry and fireworks in our back yard. When Steve and I discussed what sides to make to serve with the catfish, I knew that my goal was to make dishes that included as many foods as possible from our garden. I’ve mentioned in a previous post that we got a slow start to our garden this year. Unfortunately, we have struggled ever since. Walking through the garden last weekend Steve said, “This is the worst our garden has ever looked.” I had to agree. 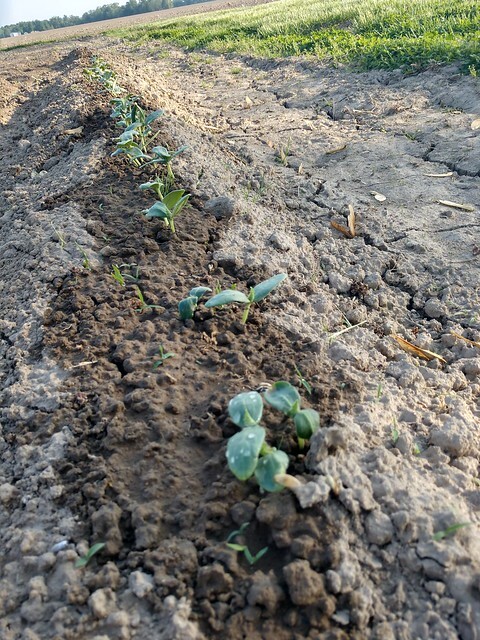 We had several heavy rains, and it seemed that every time the garden dried up enough to actually walk the rows, another big rain came. Looking up the rainfall for June, it shows that we only had one inch more than average, but I think the timing was our issue. 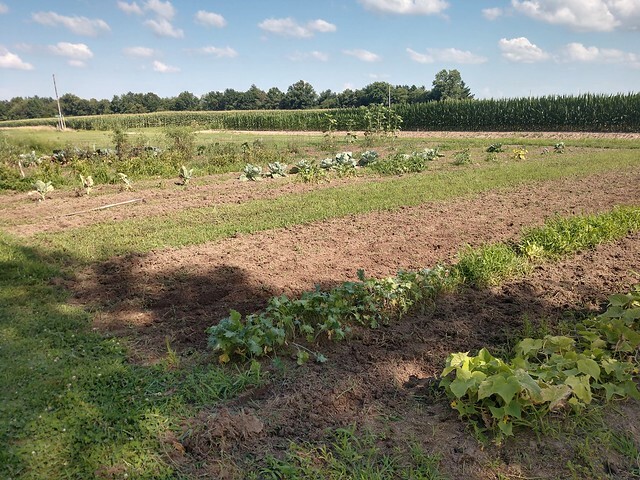 However, our garden may look awful and yields are down, but we have still been able to have some fresh vegetables. We have had the best luck with our cucumbers. 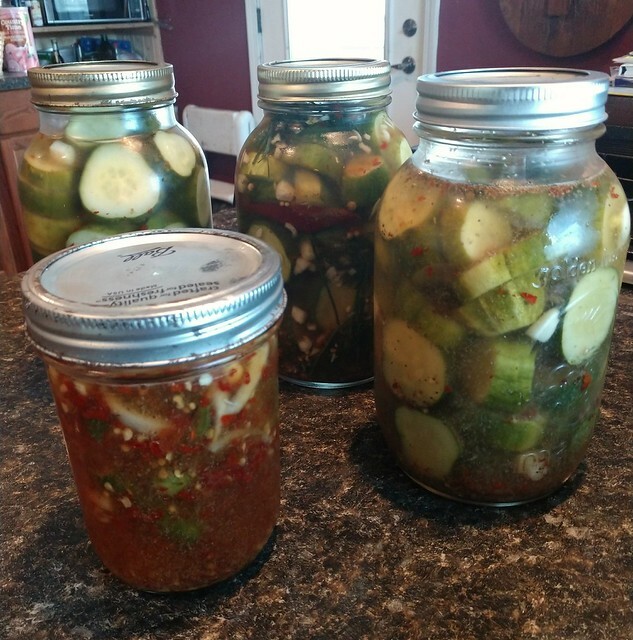 We have picked enough pickling cucumbers to make 3 quarts and a pint of refrigerator pickles. Steve had never made refrigerator pickles before and after giving him a little tutorial of how to do it, he has taken over and made it his project. He has tried 3 different recipes and tweaked them to how he thinks they could be improved. 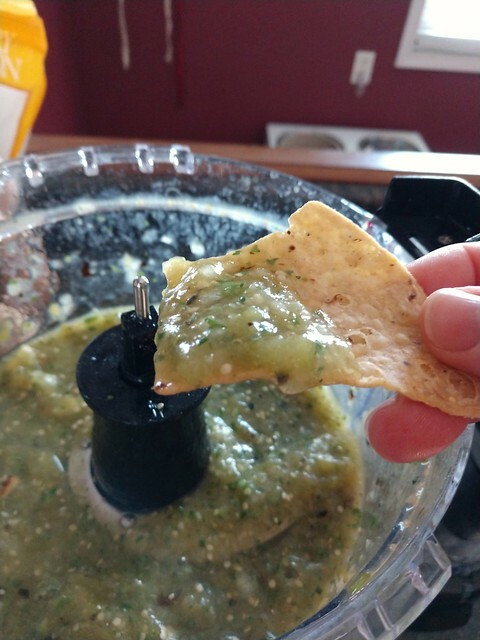 The pint above is his version of a hot pickle which included a jalapeno and some red pepper flakes. Hopefully after a few more weeks of marinating and adjusting the recipe, I can share his final version. Even though the garden is not exactly like we like it, we are still fighting through. Over the past weekend, I actually MOWED our garden rows. I can’t say that I have ever done that before. Then I was able to pass through with the tiller and pull weeds by hand. We have a long way to go, but it is looking more like a garden now. How is your garden doing this year? 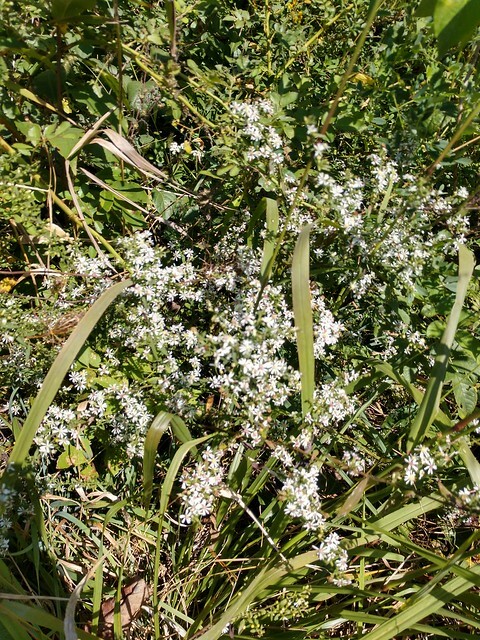 Have you had to fight weeds? Rain? Any other adversities? Ahem… fellow garden mower here. I’ll just leave it at that. Summer is just around the corner. In Illinois, Sarah is already well underway with summer projects. In fact, she’s already crossed one off her list–a new herb garden. I seem to always have project ideas spinning around in my head. 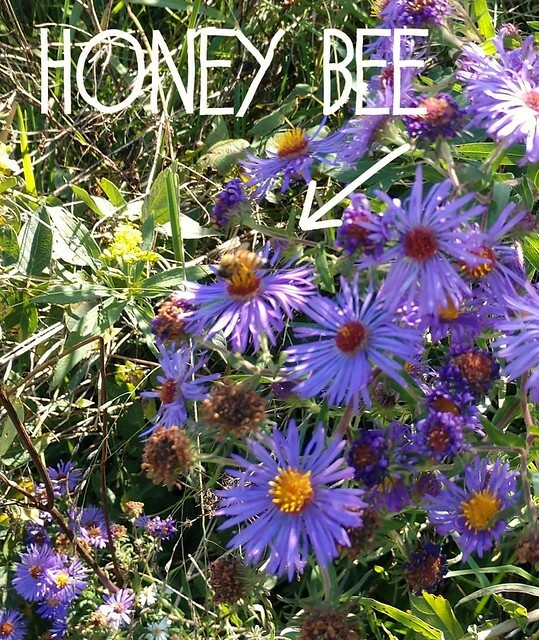 With Pinterest, magazines, pictures of other people’s gardens and yards, I have plenty of inspiration at my fingertips. So it is such a wonderful feeling to take one of those ideas and bring it to life. If you remember back to March when I posted that I wanted to move my herbs, I had some ideas of what I wanted them to look like. Well, I am happy to report that I as soon as the weather warmed up enough to work outside, I got started on this project. I chose the small patch of grass in our back driveway. I have big dreams of eventually filling it all with flowers, but thankfully I have learned to start with small bites at a time so that I don’t become overwhelmed. My focal point is my grandmother’s birdbath. So I first decided where I wanted it to sit. Then I took a measuring tape and measured out 4 feet from the bath in several different directions and marked it with spray paint. Next, I shoveled the top layer of sod out of the circle. This was a long and tedious process but I believed it helped prevent my bed from being overrun with weeds and grass. 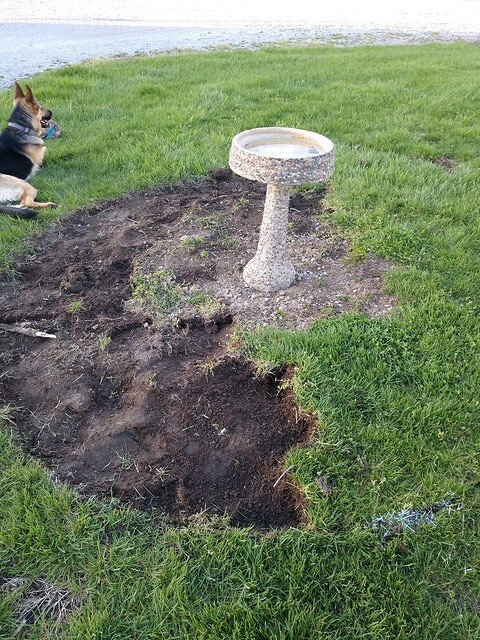 When all of the sod was removed I went over the bed with the tiller. 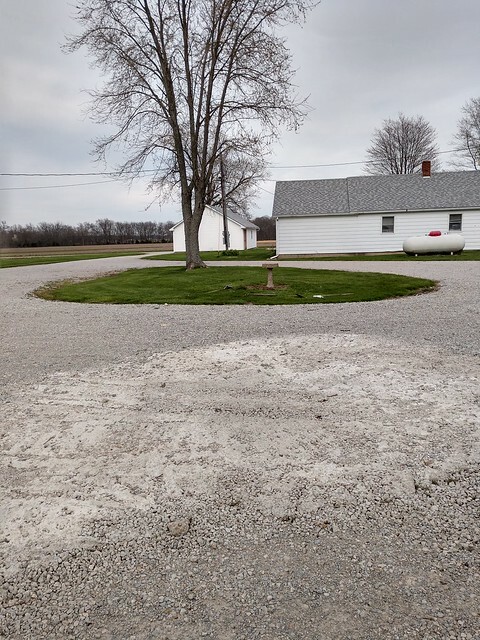 This was a little difficult because it is a small area for as large of a tiller as we have but after wrestling it around for a bit, I got all of the soil turned over. 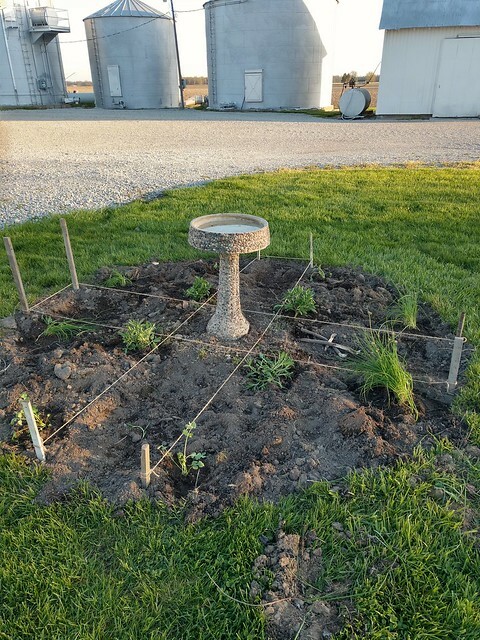 I then used twine and some scrap boards to lay out where I wanted to plant the herbs and where I wanted the stepping stones to go. I found some stepping stones at the home improvement store and slowly started to see the herbs fill in. I have cilantro, chives, basil, oregano, dill, salvia, yarrow, tarragon, and rosemary so far. Some of the herbs such as dill, cilantro and chives we use very often. I don’t use the salvia or yarrow, but they add some pretty color. 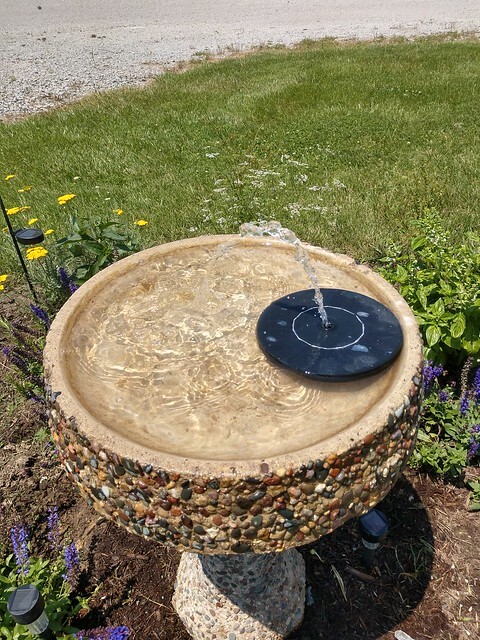 One more feature I added was a solar powered fountain for the birdbath. 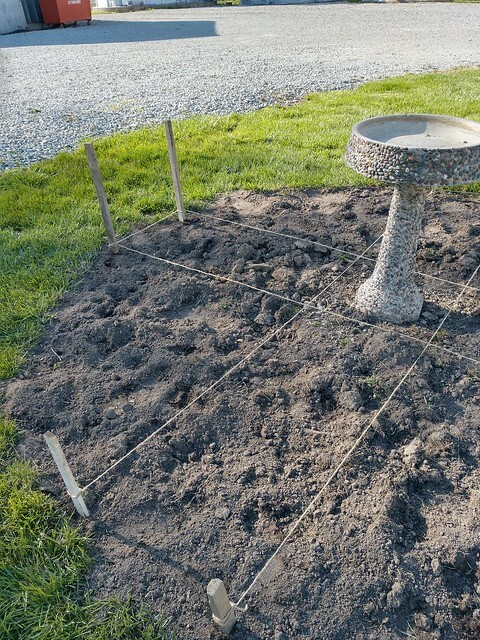 I have to keep a close eye on it because it can occasionally empty the birdbath, but mostly it works perfectly well. I still am going to make a couple decisions such as if I am going to add more mulch or maybe plant creeping thyme between the stepping stones. But overall I am pretty happy with my progress and cant wait to see the rest of the bed fill in. Do you have a designated herb garden? 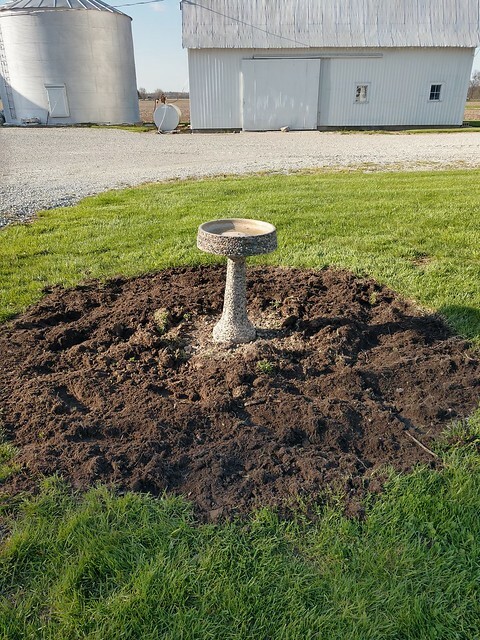 A birdbath? Any project ideas swimming around in your head that you need to get started on? Your grassy patch looks so much like our turnaround, Sarah. My goal is to have ours covered in flowers too, but I’ve stopped halfway because it’s definitely a big job. 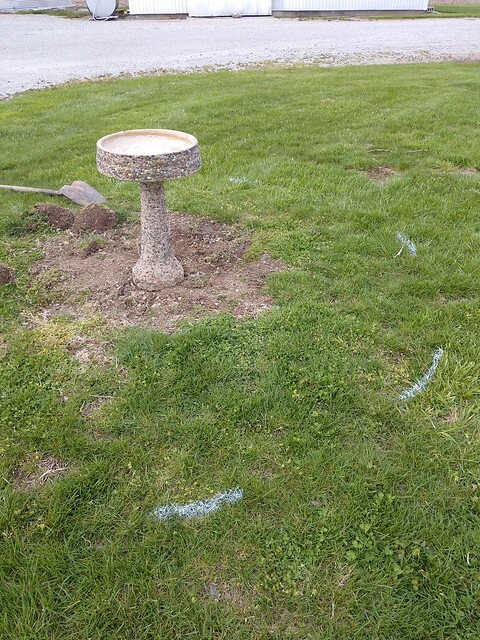 The turnaround is home to our birdbath too… although we still haven’t put ours out yet. 😦 I love the garden that you’ve built. 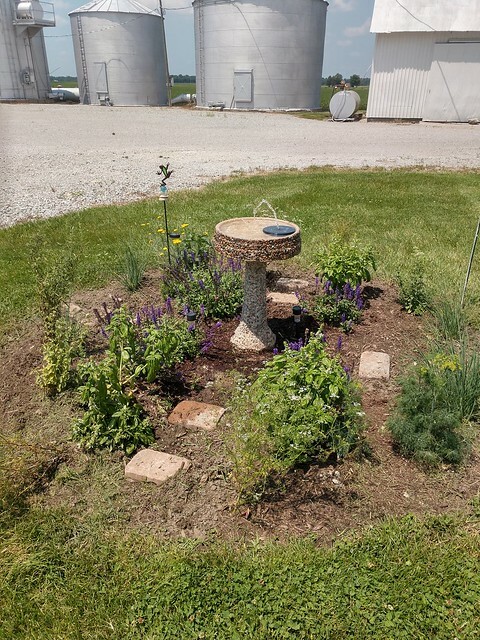 The herbs are filling is so well, and it’s so special to use your grandmother’s birdbath.